I am releasing my third free e-book, which compiles my articles on campaign websites, online design and effective Internet campaigining. This e-book, Online Campaigning: A primer for unions shows you how to get the most from Web-based communication and campaigns for your union. By campaigning online, you can speak directly to your members, supporters and potential members, establish personal links, and reach targeted groups with specifically tailored messages at a fraction of the cost of traditional campaigns. This e-book includes step-by-step advice for building campaign websites from scratch, how to create compelling messages, and drive your site’s visitors to take campaign actions. 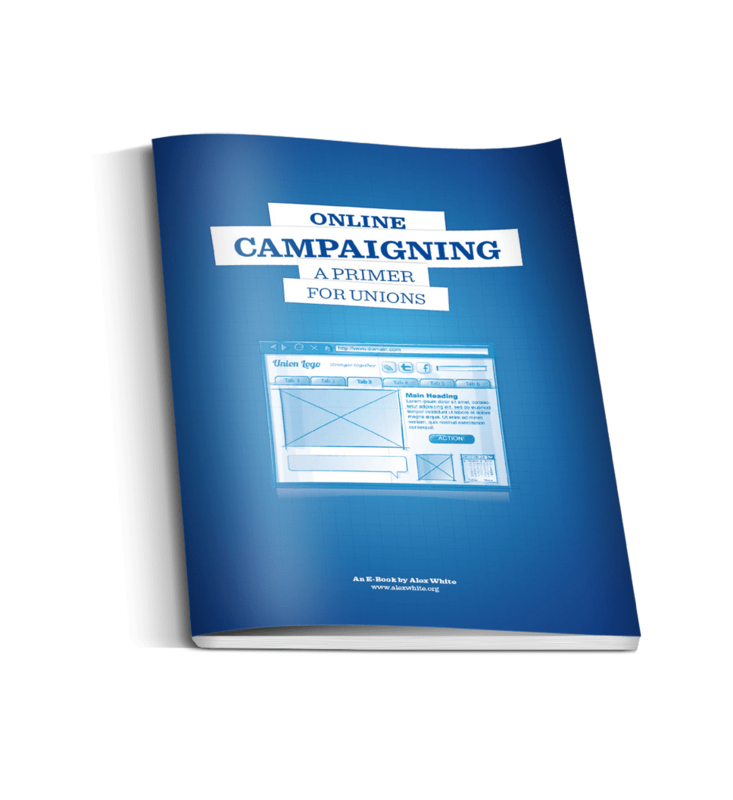 Also included are several case-studies and real-world examples of how other unions and progressive organisations have professionalised their online campaigning. I hope you find this e-book useful. If you do, please follow me on Twitter.